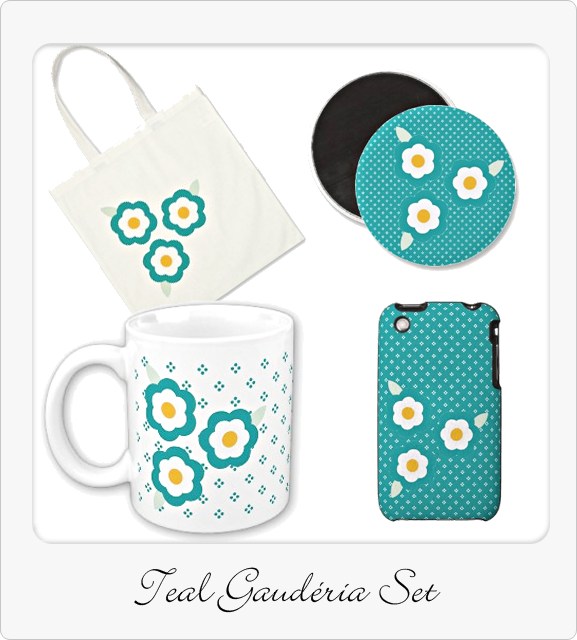 My first works at Zazzle - Oh So Girly! Sometimes I like to think a bit about the past. I was checking my first designs at Zazzle, and it’s funny to see some beginnings. I love stationery! When I was a teenager I received many stationeries from my cousin. They were really gorgeous! There were many paper sheets of Barbie and cute teddy bears. I wanted to keep them safe dedicating a folder to store them. At that time, one of the girls of my school asked me to see this collection, as she had a collection too. So after school I went to her house and we spent some time looking at each other’s amazing stationeries. I was getting late to get my bus back home, and I probably forgot the folder at her house. I got a great motivation to work with Zazzle stationery sets. They have an excellent selection of paper types for letterheads, stationery and envelopes. They also have amazing binders and lately they added notebooks and notepads to the collection. I’ll show these on a future opportunity; for now I’m going to show you some of my first product sets I created there. These three little flowers were one of my first designs. Initially on a bright pink color, they come with a border in teal green, the inner part in white and the middle in warm yellow. It was also my first time designing patterns, as we can see the lovely polka dots background. I always thought of magnets to be a good way to hold photos on metal boards, so basically 95% of my magnets are made mainly of drawings and patterns. 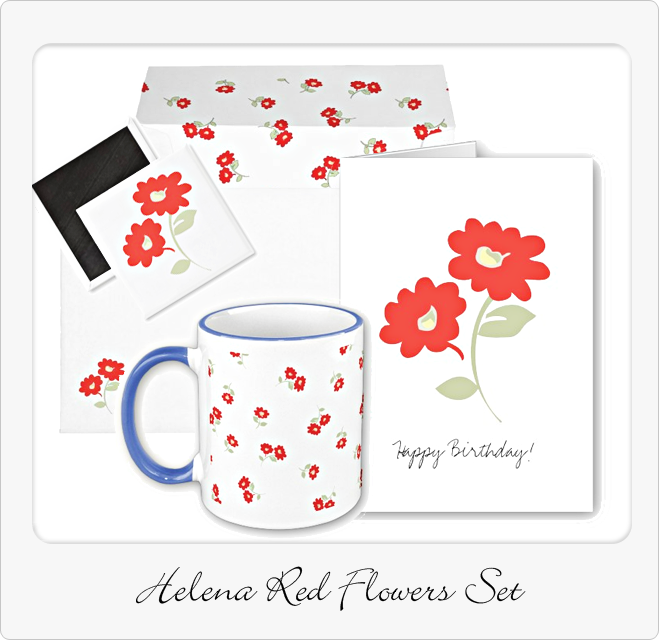 Delicate red flowers illustrating graciously many products. 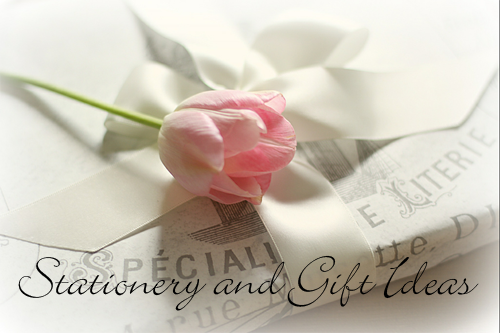 The greeting card is ideal for any occasion as you can easily customize the text! Why not use it as mother’s day and thank you notes? You can also personalize it with your name. The envelopes are just the right size for the cards. This design was meant to show elegance and simplicity in a girly style. This sweet style is inspired by Paris. The soft blush pink and the small light brown polka dots add a french style to this stationery set. The script font is very elegant and the frame add a special vintage touch to it. You can easily customize any of these products at Zazzle without any additional cost. With any product I create, I truly expect that someone will find them useful. I thank Zazzle to help me accomplish that.